You are currently browsing the tag archive for the ‘geometry’ tag. 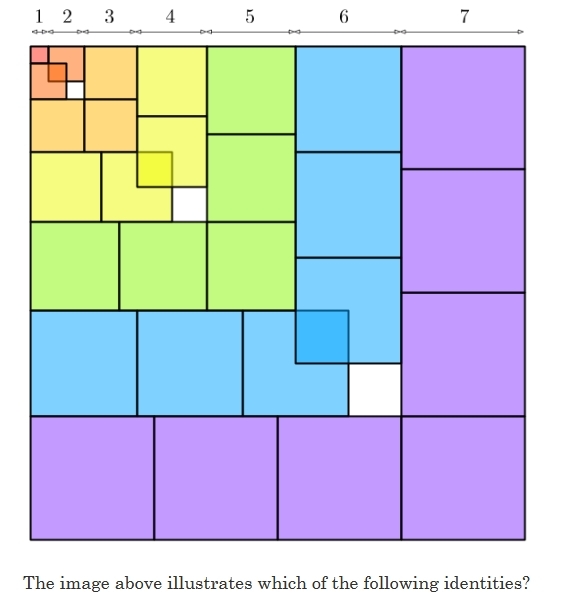 So for example with the numbers 1,2,3 the geometric mean is (1 x 2 x 3)1/3. 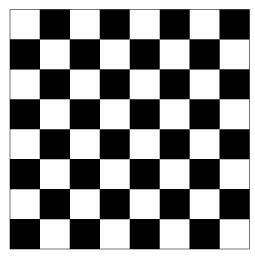 With 2 numbers, a and b, the geometric mean is (ab)1/2. We can then use the above diagram to prove that (a + b) /2 ≥ (ab)1/2 for all a and b. Indeed this inequality holds more generally and it can be proved that the Arithmetic mean ≥ Geometric mean. 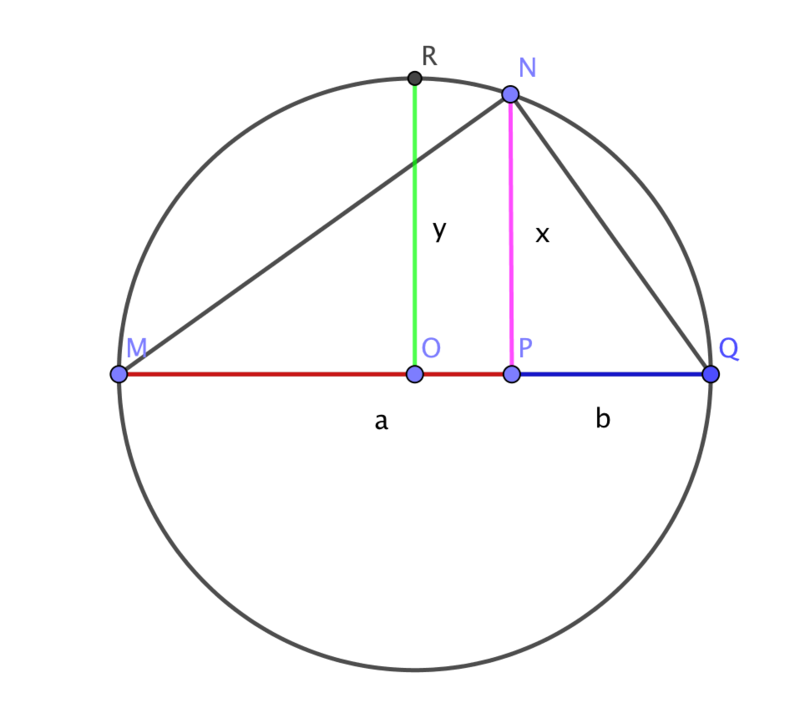 Step (1) We draw a triangle as above, with the line MQ a diameter, and therefore angle MNQ a right angle (from the circle theorems). Let MP be the length a, and let PQ be the length b. 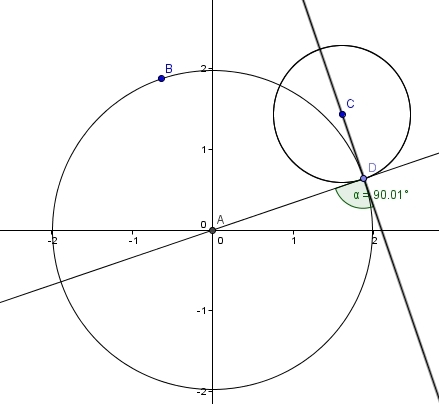 Step (2) We can find the length of the green line OR, because this is the radius of the circle. 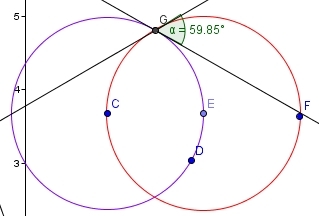 Given that the length a+b was the diameter, then (a+b) /2 is the radius. Step (3) We then attempt to find an equation for the length of the purple line PN. Therefore our green line represents the arithmetic mean of 2 numbers (a+b) /2 and our purple line represents the geometric mean of 2 numbers (ab)1/2. The green line will always be greater than the purple line (except when a = b which gives equality) therefore we have a geometrical proof of our inequality. There is a more rigorous proof of the general case using induction you may wish to explore as well. 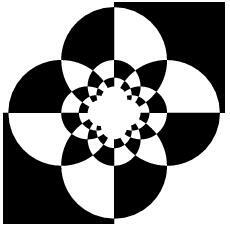 The inversion has been done with regards to the black circle centred around the origin. The red and blue circles are mapped from outside the the black circle onto circles inside the black circle. 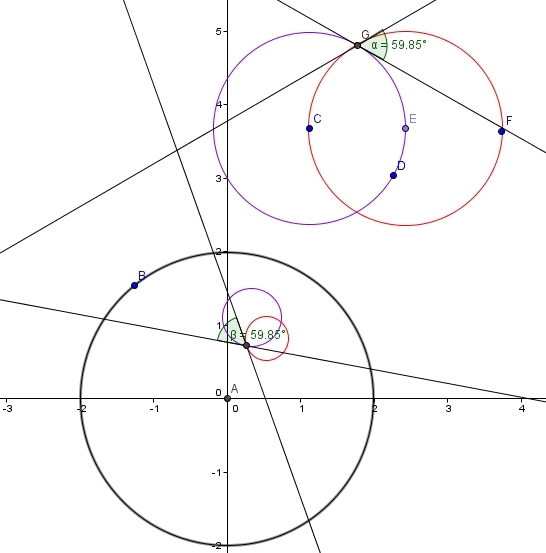 Now if we do the same as before – by finding the 2 tangents at the point of intersection, we find that the angle has remained the same – it is still 59.85 degrees. It is also possible to find circles which remain unchanged under the inversion. This happens when a circle is orthogonal (at a 90 degree angle) to the circle with which the inversion is being carried out. 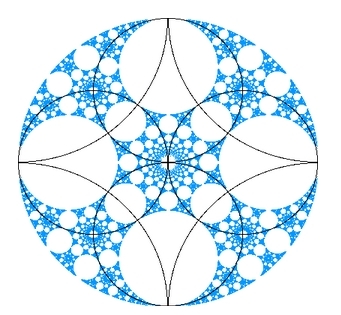 The small circle has an angle of 90 degrees with the large circle, and therefore when we invert with respect to the large circle, we map the small circle onto itself. The question is, why is all this useful? Well, an entire branch of mathematics (non-Euclidean geometry) is concerned with being able to map points in our traditional Euclidean worldview (the geometry of high school triangles, parallel lines and circle theorems) to different geometrical systems entirely. Circular inversion is a good introduction to this concept. This is the image inside the circle – and now we can clearly see the pattern behind the generated image. 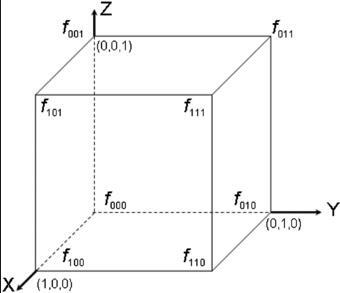 So, inversion has a lot of potential for simplifying geometrical problems.